(April 2): Wall Street extended a seven-week rally on Friday after upbeat U.S. jobs and factory data hinted at stronger corporate earnings without increasing concerns of potential U.S. interest rate hikes. The Labor Department's report showed solid gains in nonfarm payrolls in March while the unemployment rate rose to 5 percent from an eight-year low of 4.9 percent as more Americans entered the labor force. Along with another report showing the U.S. manufacturing sector resumed growth in March, the employment data suggested the economy is not growing fast enough to increase concerns about inflation. "It's a very solid number overall, but I don't think it changes anything as far as the Fed's outlook," said Jon Adams, a senior investment strategist and portfolio manager at BMO in Chicago. Stock gains were limited by a 1.39 percent drop in the S&P 500 energy sector as oil prices tumbled nearly 4 percent amid increasing skepticism about a deal to freeze crude production. Since mid-February, the S&P has surged 13 percent, recovering from deep losses thanks to a stabilization of oil prices and reduced concerns about a stumble in China's economy and its potential fallout in the United States. 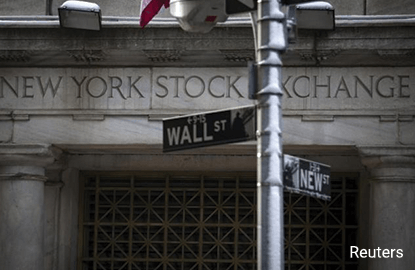 Wall Street has been concerned about tepid corporate earnings and will keep a close eye on the quarterly reports that start rolling in coming weeks. Analysts expect S&P 500 companies' first-quarter earnings to fall 7 percent year over year, with energy companies weighing heavily, according to Thomson Reuters data. "We don't think P/E ratios are going anywhere," said Charlie Smith, chief investment officer at Fort Pitt Capital Group, adding that he believes the S&P 500 is fairly valued. "For this year, we think it's going to be a tough slog." The Nasdaq Composite added 0.92 percent to 4,914.54. For the week, the S&P climbed 1.8 percent, the Dow added 1.6 percent and the Nasdaq jumped 3 percent. On Friday, eight of the 10 major S&P sectors were higher. The healthcare sector rose 1.27 percent, boosted by Regeneron. The drugmaker's shares surged 12.43 percent after its experimental treatment for eczema was found highly effective in two large studies. Chevron lost 1.19 percent and weighed the most on the Dow, while Exxon fell 0.75 percent and was the biggest drag on the S&P. Marriott fell 5.68 percent after China's Anbang Insurance abandoned its competing $14 billion bid for Starwood Hotels. Starwood lost 4.85 percent. Although the major indexes closed higher, declining issues outnumbered advancing ones on the NYSE by 1,576 to 1,448. On the Nasdaq, 1,591 issues rose and 1,193 fell. The S&P 500 index showed 70 new 52-week highs and two new lows, while the Nasdaq recorded 61 new highs and 20 new lows. About 7 billion shares changed hands on U.S. exchanges, below the 7.6 billion daily average for the past 20 trading days, according to Thomson Reuters data.